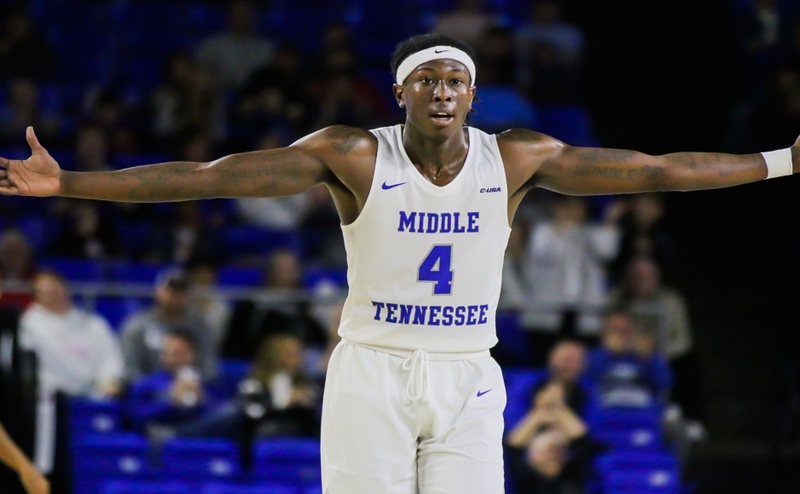 A career-high outing from junior forward Reggie Scurry was not enough for Middle Tennessee State to overcome Rice on Thursday night in Houston, Texas, as the Blue Raiders fell 79-68 to the Owls. 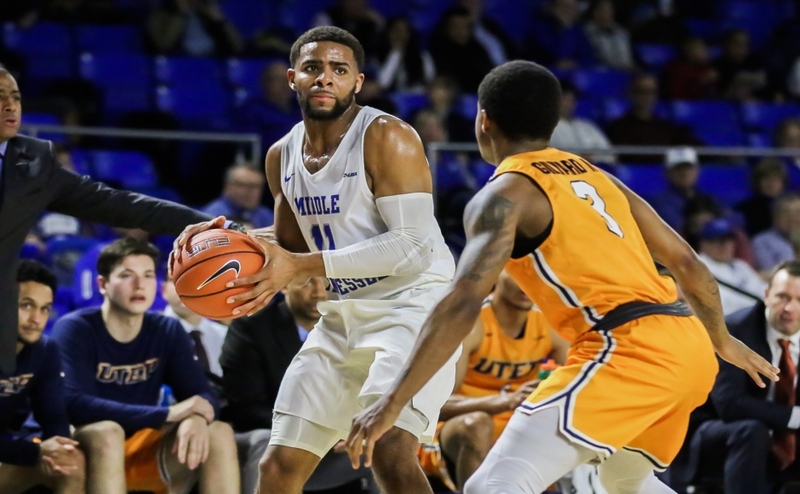 Coming into the evening, Middle Tennessee (5-15, 2-5 C-USA) was riding a two-game win-streak with home victories over UTSA and UTEP, respectively. 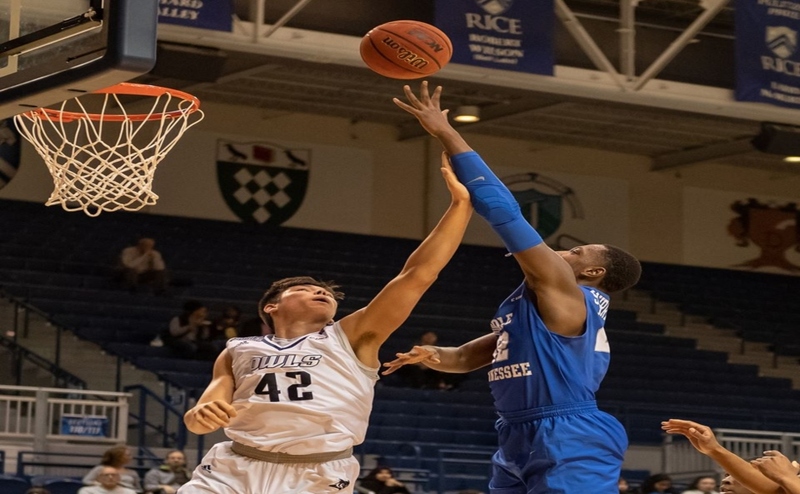 It was a neck and neck ballgame mid-way through the second half, but Rice (8-12, 3-4 C-USA) went on a 14-0 run with eight minutes remaining, a task that was ultimately too much for the young Raiders to bounce back from. With 22 points and 12 rebounds, junior forward Reggie Scurry agreed that the four-minute stretch was the deciding factor. One year ago today, Reggie Scurry was lying in his Missouri State dorm room bed recovering from a severe burn he received from a cryotherapy treatment gone wrong. Cryotherapy is an alternative to an ice bath, used in an effort to relieve muscle pain, sprains and swelling. A new remedy for the team, Scurry, along with his teammate, Abdul Fofana, were in the machine for just a few seconds before the two starting feeling a tingling sensation in their feet. 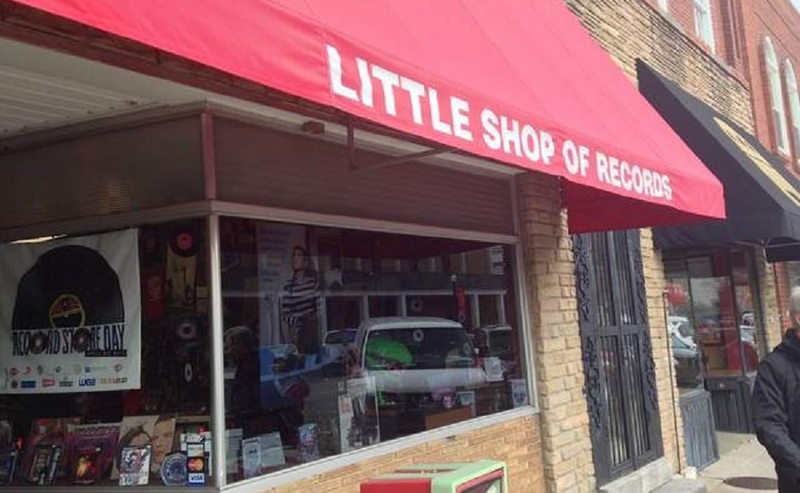 In an interview with the Springfield News-Leader last April, Scurry said he was 20 seconds away from permanently losing the mobility in his toes. An excruciating recovery that would wake him in the middle of the night due to the blood rushing back into his feet, Scurry can look to Thursday’s performance as a personal victory. For Scurry, every game is a gift. Collecting six of his 12 rebounds on the offensive end to give him his third double-double of the season, the forward seems to be better than ever. “It’s a blessing. 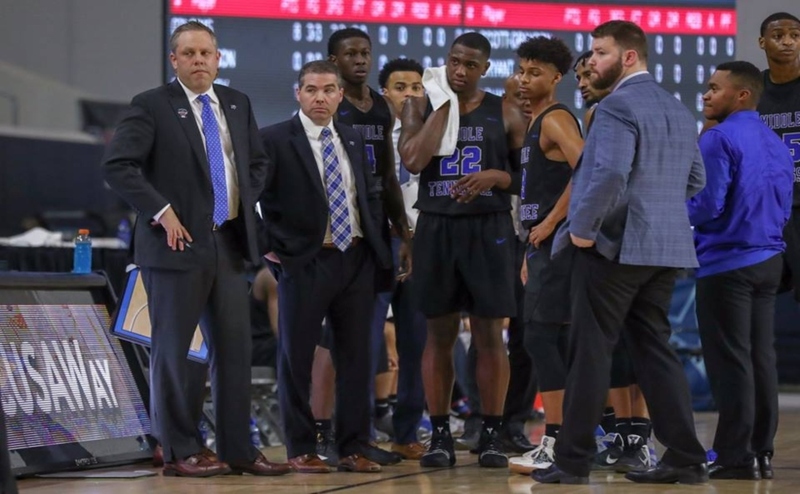 It’s just a blessing to be out here playing with the people I love,” Scurry said. Since the calendar flipped over to 2019, sophomore point guard Donovan Sims has averaged 13.7 points per game. Playing 35 minutes against the Owls, Sims connected on just two shots, each being three-pointers to give him just six points on the night. In need of key points, Junior Farquhar rose to the challenge. Easily his best performance of the season, the freshman guard posted eight points to go along with seven rebounds, two assists and one steal, all while committing zero turnovers. 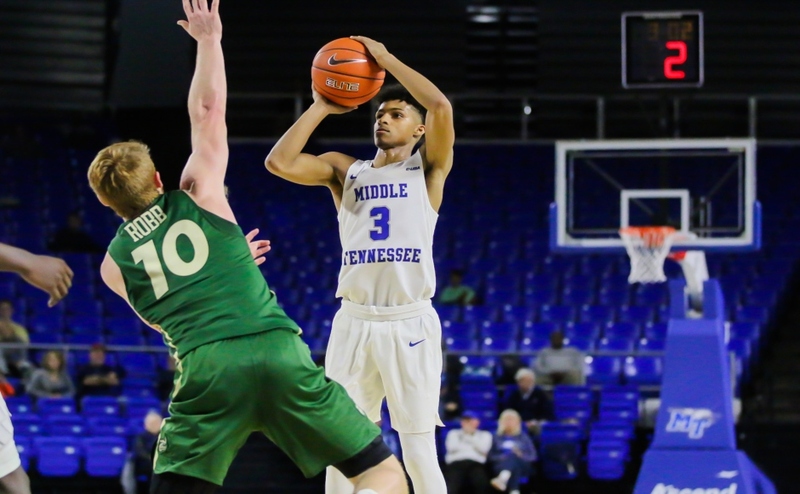 A solid cog in the Blue Raider rotation, freshman Jayce Johnson committed two quick fouls in the first half that placed him on the bench. Trying to rotate over and take a charge just 35 seconds into the second half, Johnson committed his third foul of the evening, causing him to be even more cautious on the floor. Playing a total of just 10 minutes, Johnson never found his rhythm, finishing the night with five points and one rebound. The Blue Raiders continue their Texas road trip as they take on North Texas Saturday night at 5 p.m. The game can be streamed ESPN+ and can also heard 94.9/95.1 FM.